The Beekeepers Society is the only society at John's that deals with live creatures. We maintain a bee colony and encourage all members to take part with the aims to produce honey every year. 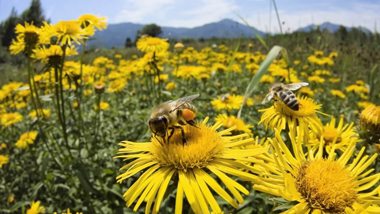 We also play an educative role and encourage interest in bees and their positive impact on the environment. During the honey gathering season, we hold regular hive visits where we bring members down to the hive for inspections. We also hold other events such as tastings, movie nights, etc. Feel free to get in touch with the committee if you have any questions.